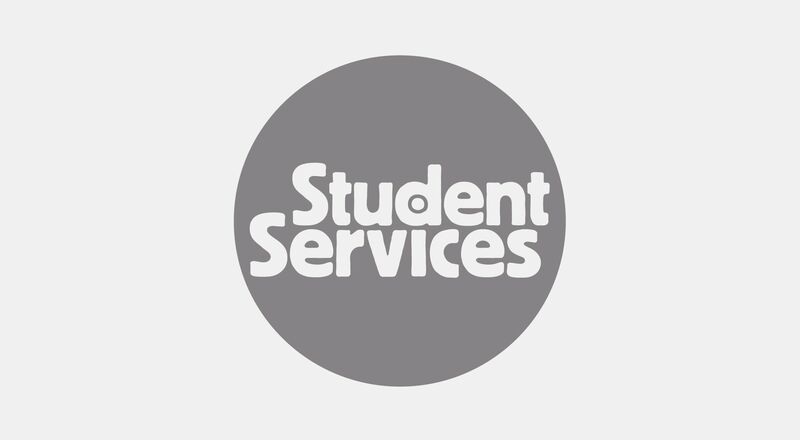 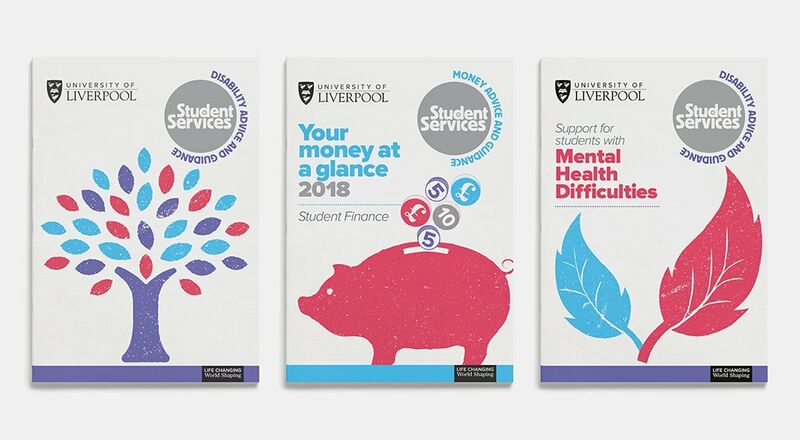 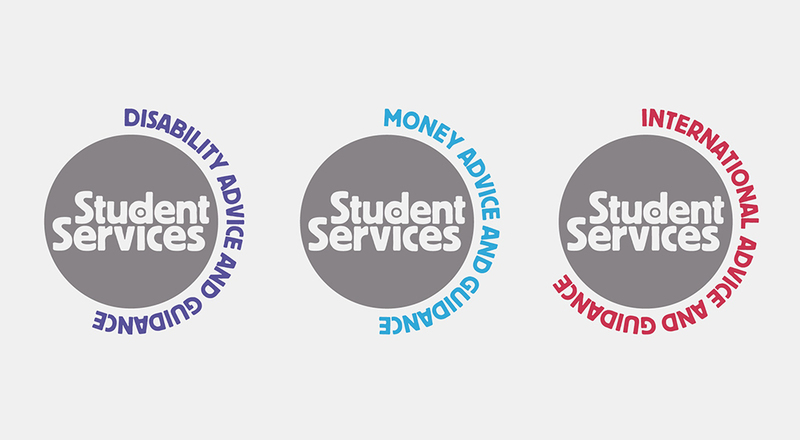 We were asked to create a colourful brand personality that encompassed all activities within Student Services. 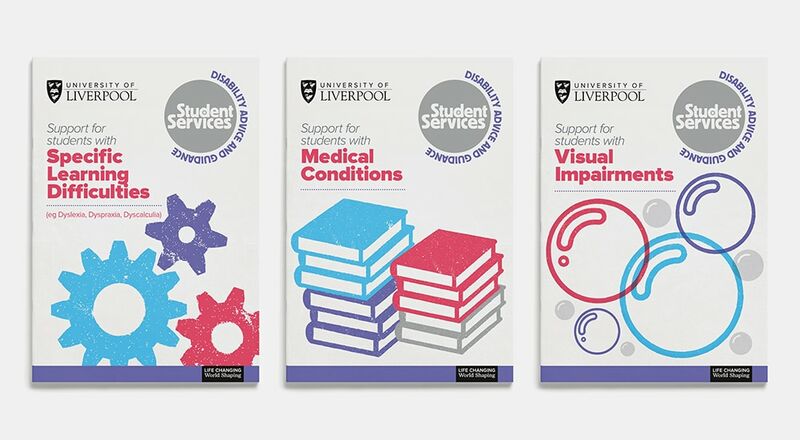 Devising a roundel as a sub-brand and then bringing the subjects to life with punchy illustrations gave the department immediate stand-out and a welcoming feel. 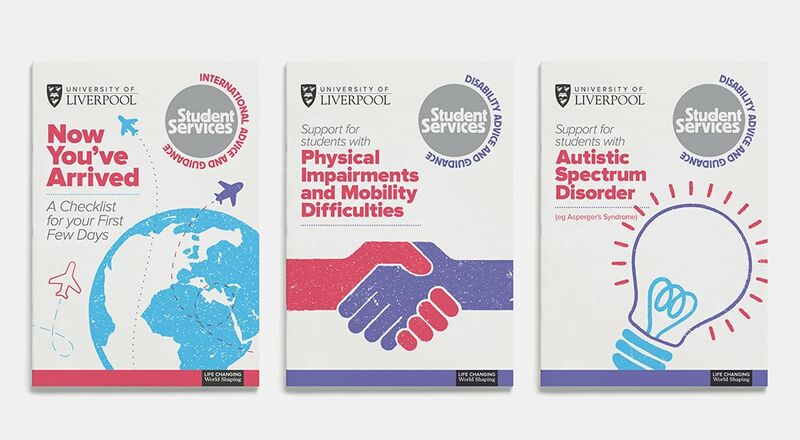 This graphic identity helped us in designing a comprehensive set of brochures across the department and with it a strong sense of self.